About a month ago I wrote an article about how I was majorly pissed after two transactions on eBay; one for an SNES, and one for an N64 went bad. I am happy to report that I got my money back on both with very little fight and full cooperation from Paypal. 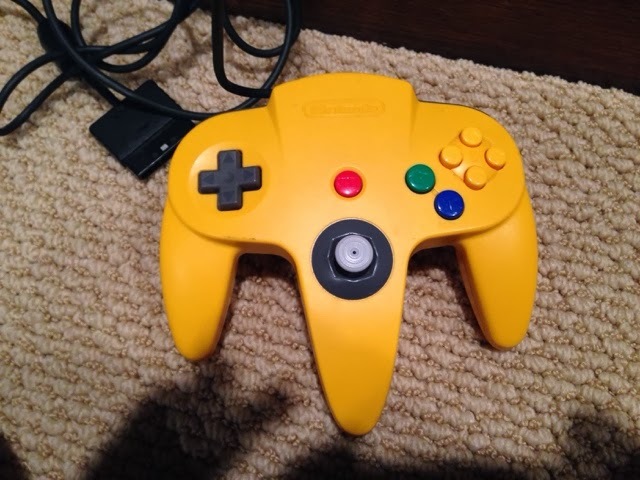 But the better news is that through some odd circumstances a co-worker gave me an N64 that was taking up space in his house, with Ocarina of Time. I bought the system home the day before Thanksgiving which helped to make the weekend a bit more joyful. 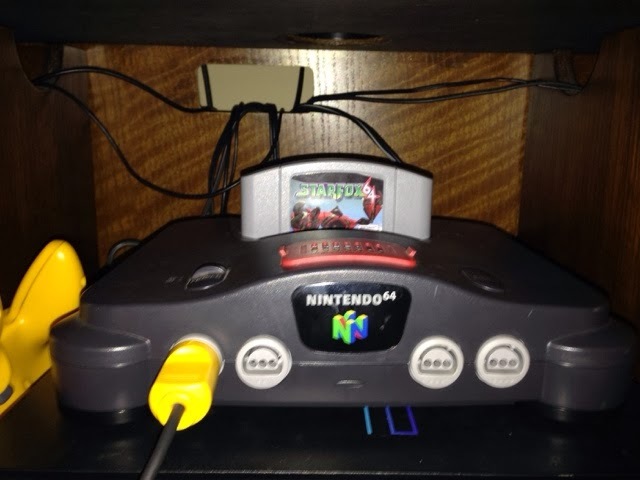 On Black Friday we got Super Mario 64 for it as well, and I also picked up Starfox 64 on eBay that week too. To say the least my oldest son is really excited to have the system. Of course I am too since as you’ll know from previous posts I’ve been trying to build a cool retro gaming collection. With the N64 in place I now have at least one system representing generations 2 through 7 available to me. Of course if I was able to find my PS1 I would have two for Gen 5, but hopefully I’ll find it somewhere in my house. I have to say I am impressed with the N64, I like the 3D graphics. At the same time though it is a bit disorienting, and on my tiny gaming TV and I get a headache after about a half hour of play. So I guess I have to work on getting a bigger TV. I’m still looking for a Super Nintendo though. Especially since I have four games sitting on my game shelf I bought after I thought I was getting an operational SNES. In the meantime though Starfox 64, Pilotwings 64 (both of which I just bought) and maybe F-Zero 64 (I have to get) will give me the gaming experience I was looking to get with the SNES. To see the least I will now turn to you as my readers for some help on what games to get next. Keep in mind that I have the three Star Wars titles, Shadows of the Empire, Rogue Squadron, and Star Wars Racers in the bag already. So what are your suggestions? What games do you think I should get to build my collection further? Better yet what about a game that you love that isn’t exactly a regular name in N64 games?